Franklin Federated Church presents "Christmas with All the Bells and Whistles!," a concert featuring the New England Ringers and organist Richard Bunbury, on Saturday, Nov. 25 at 7:30 PM at the church at 171 Main Street. This concert is a great opportunity to get in the mood for the season! The church will be decorated with lights and greens, and the concert will feature such favorites as Joy to the World, Greensleeves, Angels from the Realms of Glory, Silent Night, The First Noel, and Go Tell It on the Mountain. 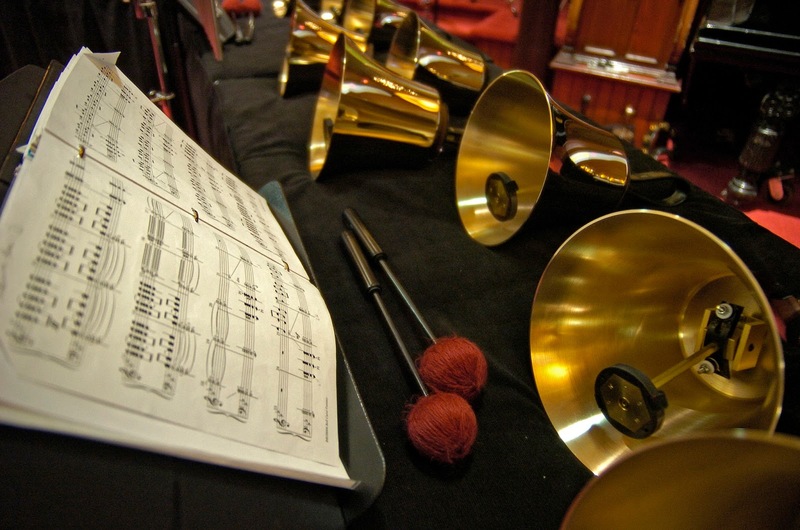 This concert will mark the first time that the New England Ringers - the region's premier handbell ensemble - will perform accompanied by an organ (which, after all, is a big whistle.) The 14 ringers perform with a 6 octave set of Schulmerich Handbells.